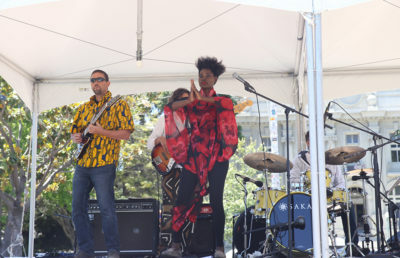 Earth Day activities sprouted up across Berkeley this week as the city celebrated its first Earth Day festival in five years. Established in 1969 after a devastating oil spill off the coast of Santa Barbara, the United States first officially celebrated Earth Day in 1970. This year marks the 48th anniversary of the first Earth Day, which was proposed by U.S. Sen. Gaylord Nelson, D-Wisconsin. Earlier this week, California Gov. Jerry Brown added to Earth Day’s legacy by officially proclaiming April 22 “Earth Day” in the state of California, recognizing the holiday at the state level. 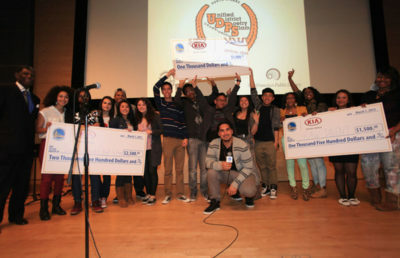 Among the speakers was a youth activist panel that addressed the next generation’s role in the environmental movement. Clarke and her fellow youth activists focused on the future of environmentalism, echoing Bohanec’s desire for “renewed energy” among environmental activists. 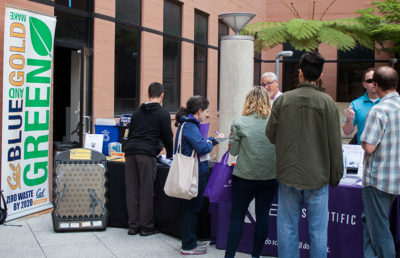 Bohanec decided to revive the Berkeley Earth Day festivities after attending a similar event held last year in San Francisco. She said she was originally “disheartened” when she realized that Berkeley did not have an official Earth Day celebration and was compelled to organize the event. When she was planning Berkeley Earth Day, Bohanec said her goal was to bring the festival back to its roots and to combat corporate attempts to control Earth Day sponsorships. 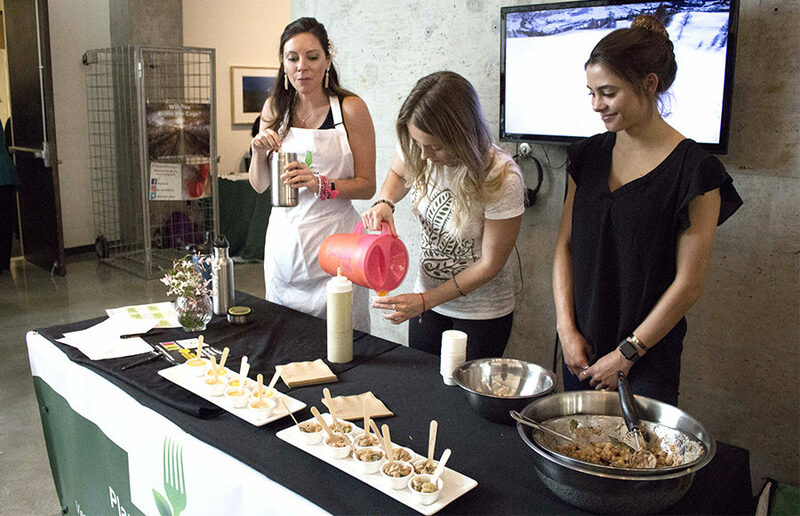 The diversity of vendors and sponsors reflected the different branches of the environmental movement. Activism-oriented nonprofits such as Climate Healers, Sea Shepherd Conservation Society and the Citizens’ Climate Lobby tabled to cultivate support. All the food sold at the event was vegan, with vendors such as Sweet Yvonne’s Vegan Bites and the Chalk Hill Cookery selling everything from cookies to coconut noodle dishes. Local sustainability-focused companies also sold a range of products — Berkeley-based beauty product vendor Ellovi sold all-natural, six-ingredient creams and lip balms. Walking past the vendors, attendees were met with a table full of clay, where staff from local sustainability hub People Linking Art, Community and Ecology, or PLACE, taught visitors how to craft their own succulent pots. Reducing plastic waste was a big theme at the event. The Ecology Center introduced an initiative sponsored by Arreguín to put a charge on plastic restaurant waste and to encourage patrons to bring their own take-out containers. Some vendors sought to combat waste by delivering familiar services, but with an ecologically friendly twist. Though many people were happy to see Earth Day return to Berkeley, there were some who said they missed the old Earth Day festivals. Overall, though, Bohanec said she was pleased with her partnership with the David Brower Center and the history of environmental leadership it represented. Contact Madeleine Gregory, Alexandra Stassinopoulos and Sri Medicherla at [email protected].